The estimated monthly cost for Eldercare At Santa Anna is around $3,756. This is above the $3,250 estimated cost for the city of Chandler. While the US average cost is about $3,500, the State of Arizona comes in at $3,150 monthly. Eldercare At Santa Anna is situated in Chandler, Arizona, in the Mission Manor at Ray Ranch area. Their facility offers senior housing in a comfortable and safe setting. The area surrounding this community is heavily populated, including roughly 42,796 residents in the zip code of 85224. It is a largely middle income area, with an average household income of $64,746. This facility is conveniently located, with retail shopping, religious services, and healthcare facilities all within the surrounding area. There are multiple churches within four miles, including Faith Community Church, Calvary Evangelical Lutheran, Church of Christ, and Church of Jesus Christ of LDS. There are a number of drugstores within one mile of the facility. They're also only 1.4 miles from Arizona Orthopedic Surgical Hospital. Eldercare At Santa Anna offers assisted living. 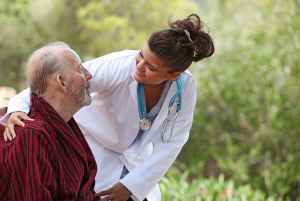 They can provide care for individuals who require help with routine tasks but who desire to retain some degree of independence.